Timber Ridge Cabin Sconce. 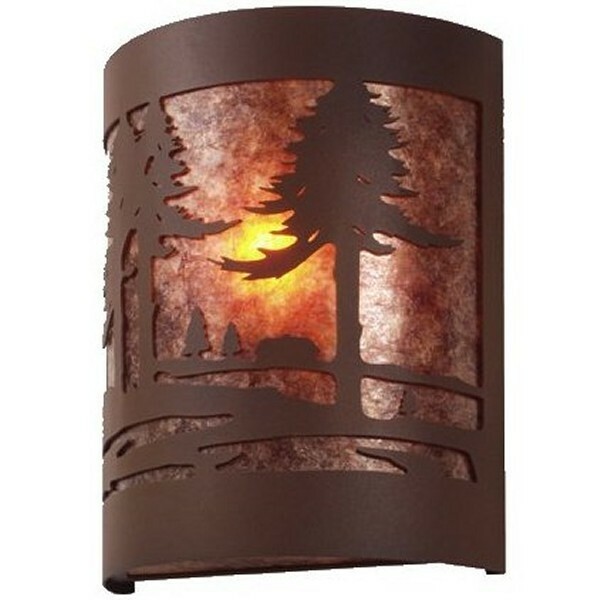 This rustic cabin scene sconce can warm up any home that has a rustic theme. The simple lines are accented with an image of tall pines surrounding a deep woods lake.